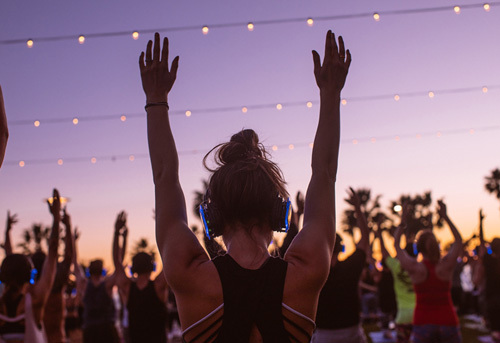 🌅 As the sun sets into the sherbet sky and the day's energy kindles, immerse yourself in a silent disco yoga class UNDER THE STARS that takes place overlooking the gorgeous Dana Point Harbor. 🎧 Slip on a pair of wireless headphones for a surround-sound yoga experience with the one and only Elsa Stuart, founder of iHeartYoga. As a special treat, we are brining in a guest DJ who will be sure to get you moving and grooving throughout the class! ++++ In addition, we will be showering you with all sorts other surprises so stay tuned! Each ticket purchased goes towards The Xanadu Foundation a 501c3 designed to inspire positive change surrounding ocean environmental issues through activation, education & art.